Smart Home Devices: To Buy or Not to Buy? Devices that let you control your thermostat, lighting, coffee, etc., are released on a continuous basis. If you’re considering smart devices for your home, navigating this ever-expanding market can be overwhelming. Here is a list of popular releases, highest-ranking to least, to help you decide whether or not it’s wise to invest in them. Hand the keys to your digital life over to Amazon’s Echo. Echo’s sleek appearance fits well into any room. Offering news, music, weather forecasts, and a variety of other interactive capabilities, Echo is a useful addition to any home. A leader in the smart doorbell category, providing 1080p resolution, SkyBell’s video integrates with Amazon’s Echo, Nest, and IFTTT. With on-demand recording and free online video storage, monitor your home’s doors from anywhere. With a variety of features, Lutron’s smart switches bring connected lighting into your home. Working with Amazon’s Echo, Nest, IFTTT, Apple HomeKit, etc., these smart switches are easy to use and offer modern capabilities, including a security mode, geofencing, which turns the lights on and off as you come and go, and scene management. Control the lighting in your home any time, from anywhere with Lutron’s app-enabled smart switches. A coffee maker with a few hands-free features, the Smarter Coffee machine disappoints. Requiring both cleaning and refilling, the technologically advanced coffee maker offers a large water tank and a dedicated app. A wonderful, but unnecessary upgrade to any smart home, the Smarter Coffee machine provides an average coffee-making experience compared to other coffee machines currently on the market. Simple to use, the Nest Cam is a standalone, app-controlled security camera. Taking less than two minutes to set up, the camera shows live feed, previews, and three-hour snapshots. The downside to the device is the number of features hidden behind a paid subscription, including enhanced accuracy and sensitivity. In the end, you should choose which smart devices are right for your home by determining whether or not they suit, or will enhance, your lifestyle. Simply acquiring smart technology as it is released isn’t easy on your wallet, so do some research. 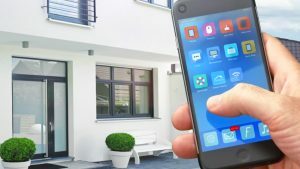 Several gadgets are built to integrate with each other and can be used to build an entire smart home system (for example, IFTTT). Assemble an affordable and intelligent home on your own terms by carefully considering the features, usability, design, and performance of each device.